The German minority problem and British appeasement policy. The fall of Vienna dissolved the dream world of the Versailles Treaty and began the long nightmare of Nazi occupation of Europe. It was the first (and only bloodless) chapter of the Second World war. 223pp with black and white plates. Germany's wartime economic mobilisation was both planned and directed by the army, and as a consequence of this largely unanticipated responsibility, the army was compelled to cope with the great social conflicts of Imperial Germany. 572pp illustrated in black and white. Although Belgium and the Netherlands are closely related in their history and geography, a systematically comparative approach is used to explain the different reactions to what often appeared to be similar circumstances. 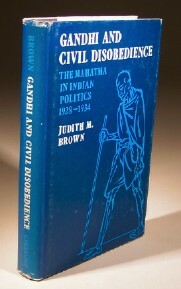 An analysis of the phase between 1928 and 1934 when Gandhi was leader of a continental campaign of civil disobedience against the raj.